Shannon Miller focuses his practice on various aspects of financial services law, with an emphasis on consumer financial services litigation. He has successfully represented financial institutions and law firms throughout the country for claims filed under the Fair Debt Collection Practices Act, Fair Credit Reporting Act, and various state consumer protection statutes. Shannon has first-chaired more than 100 jury trials. He is a former prosecutor for the Delaware County Office of the District Attorney, where he investigated and prosecuted white collar crimes, and other felonies. » Collection Law: The Ultimate Guide, National Business Institute Seminar, December 2017. 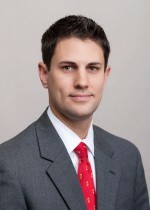 He earned his Juris Doctor from Widener University School of Law and his Bachelor of the Arts from Wittenberg University. He is a member of RMA International, the national Mortgage Bankers Association, the American Bankers Association, and the American Bar Association. Shannon is admitted to practice law in Pennsylvania, the United States District Courts for the Eastern, Middle, and Western Districts of Pennsylvania, the Eastern District of Tennessee, the Northern District of Illinois, and the United States Court of Appeals for the Third Circuit.